I really enjoyed Kapitoil, so I was looking forward to reading Teddy Wayne's follow-up, even though the title seemed a bit cringey to me. The book did not disappoint, and placed well developed characters in a modern, believable plot. There were times when I felt for the famous young Jonny, or his mother/manager Jane, and then there were times when they did stuff that made me want to write them off because of their superficiality, and because they seemed to put being famous before all else. Their interactions with others, with each other, and with themselves drew out conflicts and doubts, leaving you unsure if you liked or disliked the characters, but at the same time making you think hard and carefully about it, because you're wondering what you would be doing if you were in a situation like Johnny or Jane, or even Al for that matter. I would have preferred the conclusion of the book to be a little more open ended, but it didn't take away anything from what I thought of the book. 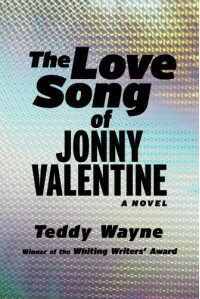 A solid read, and I'll be looking forward to Teddy Wayne's next book. Since so far he's written in the voice of a socially disadvantaged foreigner and a famous little boy, which at points almost sounded a bit similar, I'll be hoping the next novel is written in the voice of someone sounding completely different. Jonny had good vocal range. Let's see what kind of literary range Teddy has.